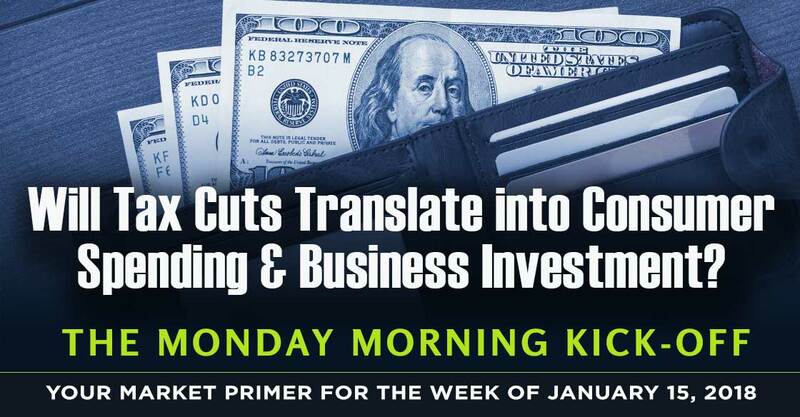 To help investors get ready for the trading days ahead, the Monday Morning Kickoff traces the key happenings of the previous week and looks ahead to the coming economic and earnings calendars for the new week. As we know, the economy, much like investing, isn’t static – it’s not a photograph, but more like a drama that has many twists and turns. The stock market and investors have been grappling with the return of uncertainty and volatility in the market place. Last week stoked those flames, which led the market to erase year to date gains. 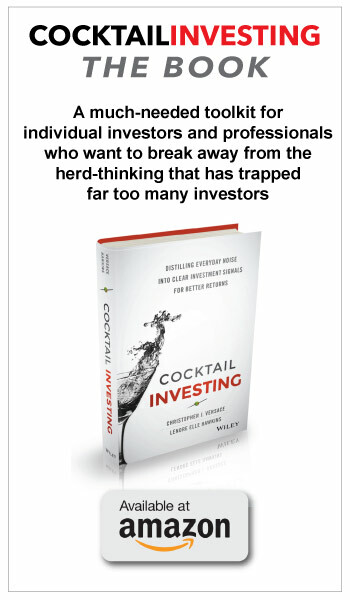 Many investors are likely reacting like a deer caught in the headlights, uncertain of where to turn next. 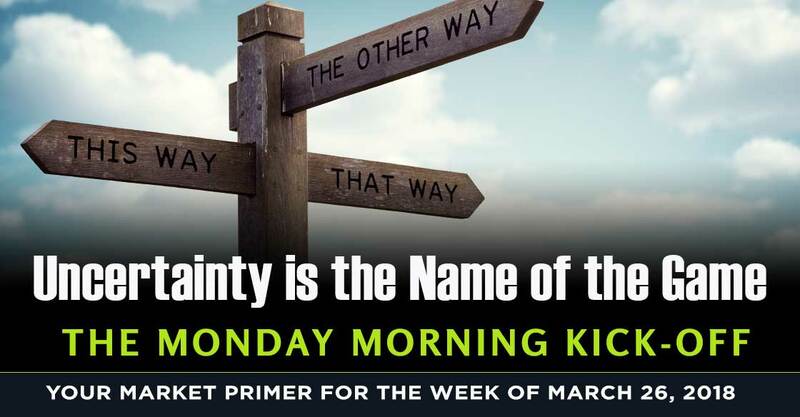 In this week’s Monday Morning Kickoff we take a look at data to be had and understanding which companies are better insulated from any potential trade war. Given that this week will be Powell’s coming out press conference as Fed Chief, odds are there will be little cage rattling to be had this week, especially given the new air of uncertainty in DC when it comes to tariffs and trade. I also suspect the Fed is watching to see the impact of tax reform as well as monitor developments for Trump’s infrastructure plan. 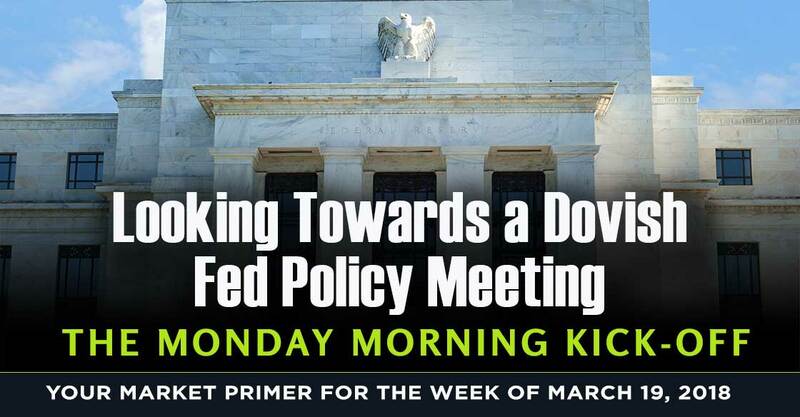 We are a little over a week from the next Fed monetary policy meeting. 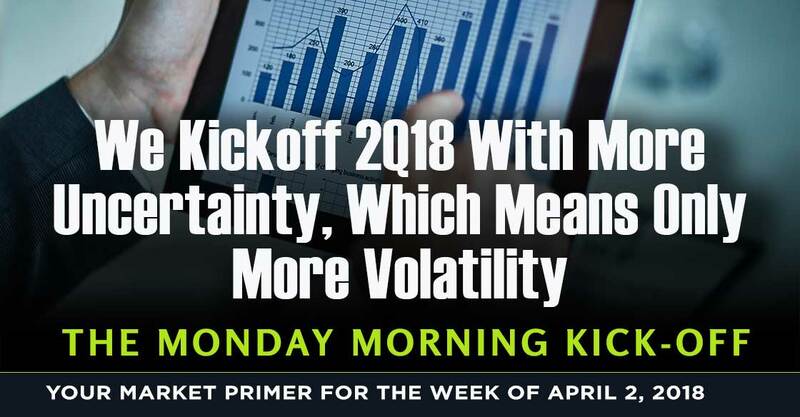 This week in the Monday Morning Kickoff, we focus on the bevy of data coming at us before that meeting in order to guesstimate how the Fed will view the speed of the economy, the Trump tariffs and inflation and what Fed Chair Powell will say as it relates to the velocity of interest rate hikes and balance sheet unwinding over the balance of the year. We can look back over the last four weeks as a sea-change in the stock market — the return of volatility came back with a vengeance. Given that investors are currently in the mode of “good news for the economy is bad news for the market”, it means those who are hoping the recent bout of volatility was going to be short-lived… you’re going to be disappointed. 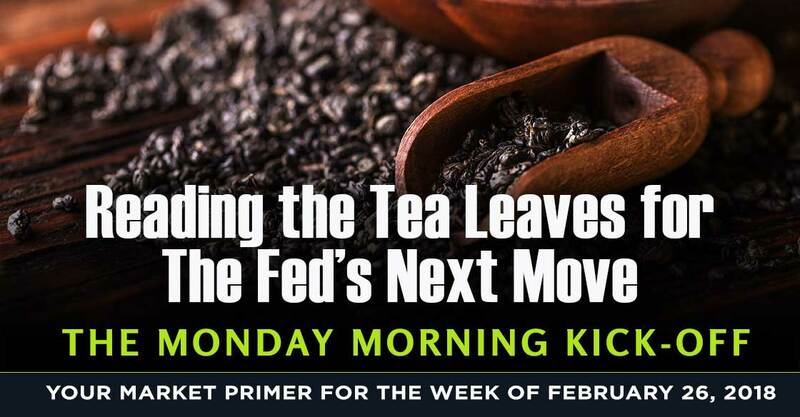 Now, let’s breakdown what’s on tap this week as we exit February and enter the last month of the current quarter. What’s Next for the Markets After Last Week’s Turmoil? The domestic stock market dropped into correction territory last week as investors reset expectations to account for a combination of issues, which include a firming economy, the specter of rising inflation, and rising bond yield. On the heels of that correction, the economic data to be had this week will either stoke the flames of concern or pour some cold water on them. While the Atlanta Fed’s GDPNow forecast last week raised quite a few eyebrows — and expectations we might add — we’d remind investors that the folks in Atlanta have a history of over-exuberance in its forecasts. Just look at their performance last quarter and compare their current projections to those by the NY Fed, which comes in at about half of what its brethren in the South are estimating. 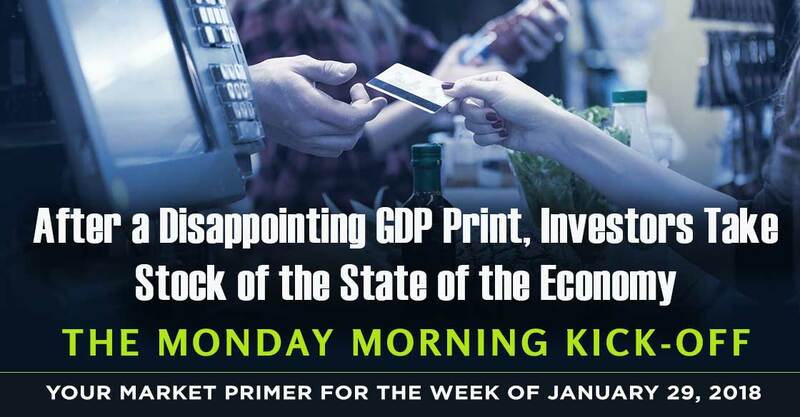 As we wrap January and move into February, we’ll start this week to examine the January data that will be coming our way after digesting a Q4 GDP number that was less than expected. All this while the President takes center stage at the State of the Union and details of his infrastructure plan begin to dribble out amid a stock market that only continues to rock and roll higher and higher. In the near-term, the market is likely to melt even higher. 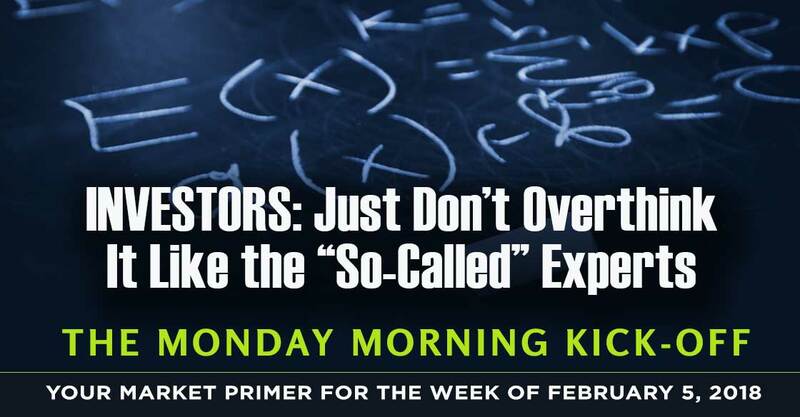 As that happens, and we see already stretched valuation metrics become even more so, we’re watching for confirming signs for the one risk that is percolating in the back of many investors’ minds. Will Tax Cuts Translate into Consumer Spending & Business Investment? By the time we close the week of Jan. 26, we should have pretty firm indications of the impact of tax reform on 2018 earnings expectations and soon after a clearer picture of where strategists see the S&P 500 going in 2018. 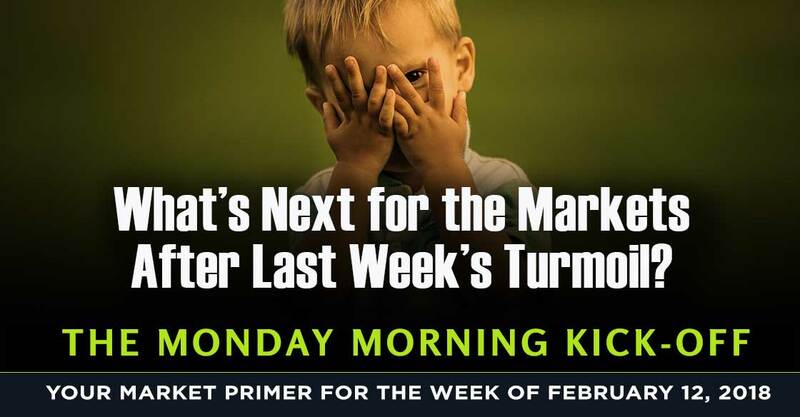 In this week’s Monday Morning Kickoff we detail the earnings and economic data on tap this week that will help color in the lines of that picture.